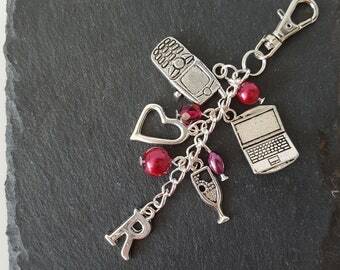 Horse bag charm. This horse lover gift is an unusual Christmas or birthday gift for a horse rider or horse owner. 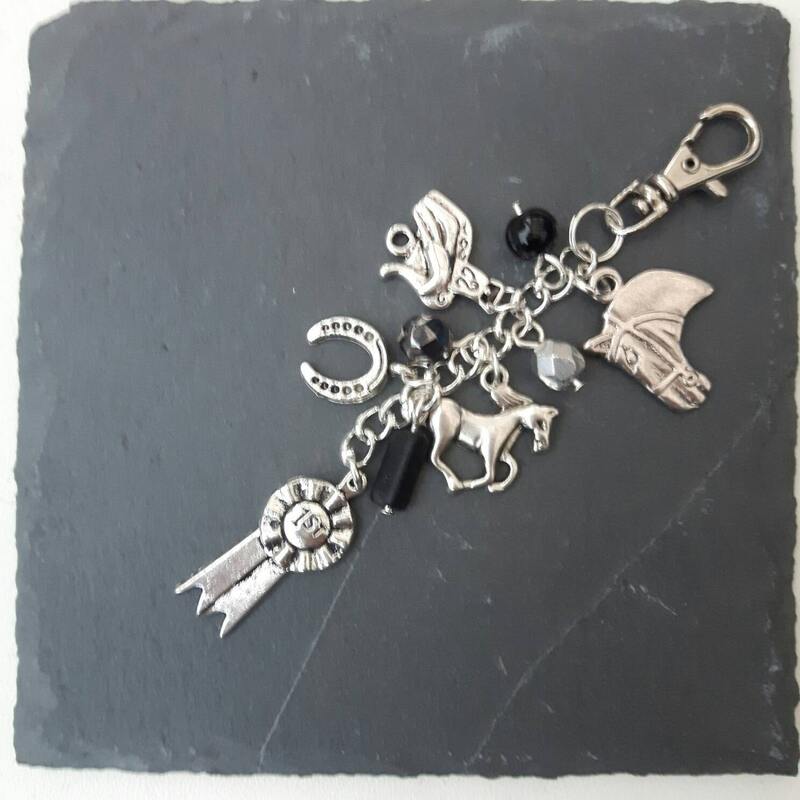 This horse keychain is a perfect good luck gift before a horse riding exam or gymkhana, it would also be a great stocking filler for a pony owner or as a gift for a pony lover. 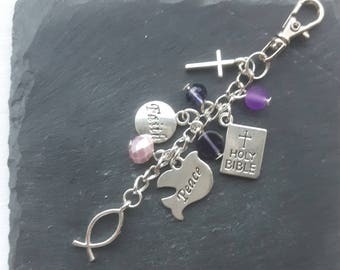 Each charm has five silver coloured charms: saddle, horse shoe, horse, horse's head and a rosette. 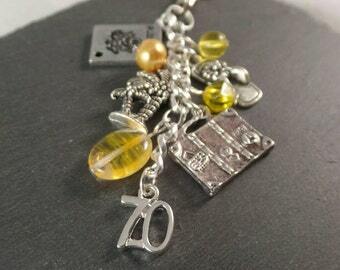 The charm can be made with beads in a colour of your choice. Please note, the pictures are a guide to colours and exact beads may vary. 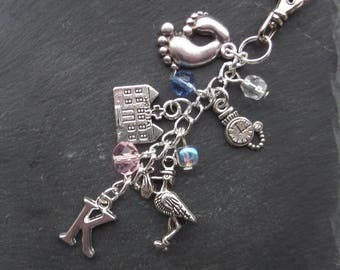 The length of the charm is approximately 9.5cm ( 3.75 inches ). J'avais choisi ce porte clef pour l'offrir. Il est fidèle aux photos, très beau et il a fait plaisir à son receveur! Cependant, tout petit bémol: j'ai trouvé que certains grigris n'étaient pas assez "travaillés"... mais dans l'ensemble, superbe!